Protect your culture and bottom line. “You’re fired.” Perhaps the most difficult words to utter as an employer. Conducted poorly, discipline and terminations can have heavy consequences on your business. Download the Best Practices for Termination eBook now. A termination process is essential to reduce your legal risk of wrongful termination lawsuits. We developed this resource for companies of all sizes and managers of all experience levels. While you can hope you’ll never need it, building a terminations process will mean you’ll be better prepared to avoid the negative consequences of mishandled terminations when the time comes to follow it. 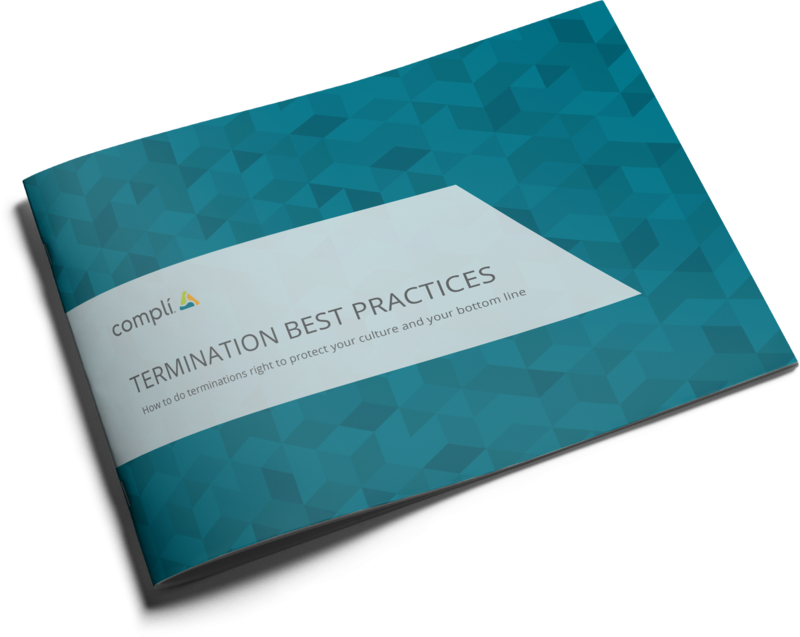 Download the Best Practices for Termination eBook today. Learn how to do terminations right.